Well it has been a little over two months since getting back from Florida. Seems a lot longer. Getting back into the swing of things is really taking it’s toll on me, as in ‘work’. My ole body is having a hard time adjusting back into work life again after being idle for almost five months, with the exception of riding a motorcycle. That classifies as exercise right? I know, no one feels sorry for me, huh! I had thought about buying a bike for when I am home in Canada. Ever since we started leaving the bikes in Florida it has always left me with such separation anxiety. Seriously! Anyway, I had big plans, and thought oh what fun it would be to have all kinds of adventures and share the scenic beauty that surrounds me with you from my own ‘backyard’. I would probably be going it solo, and that notion absolutely intrigued me. But as with all the best laid out plans this plan of mine is proving to have more twists than highway 518. Time has become my number one enemy this year. This working for a living has really gotten in the way! 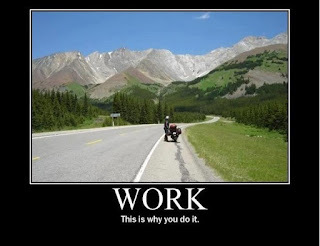 But of course we all know that work is a catch 22 scenario. This of course could be rectified if I became independently wealthy by winning the lottery. Seeing the odds are against me, I guess I will just have to keep working for the time being. Then add to that every spare moment that I do get I spend working on the house that we built last year. There is still a lot of interior detail work to finish, along with landscaping. So there in lies my dilemma, time. Even with time being an issue I still thought I could squeeze in a few moments here and there to see what was out there. 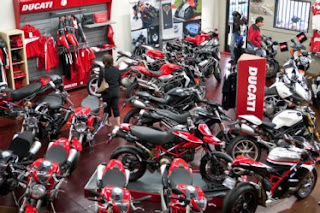 I don’t live in a big city or even close enough to one that would have a motorcycle dealership, so I started looking at new and used bikes online, focusing on places within about an hour or so drive. It has become quite apparent to me now that the selection is quite slim around here. In my quest for getting a second bike I considered financing a new one, but then thought I really don’t want or need another monthly payment. We had just replaced our car last November after it suddenly died just prior to leaving for Florida. 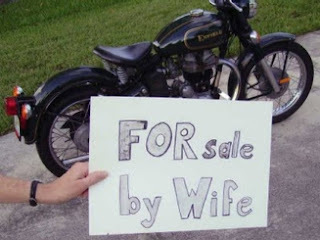 I also sadly concluded that I really couldn’t afford another Harley, even a used one. Maybe in my next life. I even considered a sport bike, but I know that I am just a cruiser gal at heart. I have only owned two bikes in my somewhat short riding history of seven years so I am limited to comparing my “shopping” experience to that. (However both were bought from dealers) I am also kind of doing this as a solo adventure as my BF is not interested at all in getting a bike for here, sad but true. I am by no means an expert on the workings of motorcycles, hell I don’t even change my own oil! At least I know where it goes and I could if I chose to *grin*. As far as my expertise goes, it starts and ends with having read nearly every Internet article on what to look for when buying a motorcycle, so maybe that counts for something. But as far as the mechanical aspects, I would definitely have a used motorcycle from a private owner inspected by a professional. So I figured why not start where I began... looking at new and used Yamaha 250s. Don’t laugh, yes it is quite a few steps down from my 883, but I still have a soft spot for my little Yamaha 250. Maybe it is because it was my first, non the less it was a great little bike. Even though it is considered a ‘beginner’ bike, does it really matter? 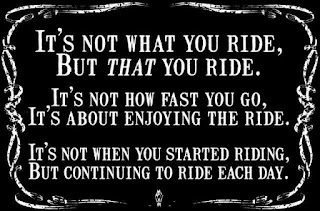 So the saying goes... Just as long as you ride. The Yamaha 250s are somewhat inexpensive, a new one will run $4,499 (add 13% sales tax and I’m into it for $5,083.87). Used ones start asking around $3,400, most have low milage. Also as a 250cc the insurance would be somewhat reasonable, as far as insurance is concerned. (Insurance is ridiculously expensive where I live). Maybe it wouldn’t be the kind of bike to go on epic journeys with, but would do just fine for the little excursions I had in mind. There really are some beautiful places close by to where I live that I would like to experience and share with you, like Algonquin Park and all the quaint little towns to explore. 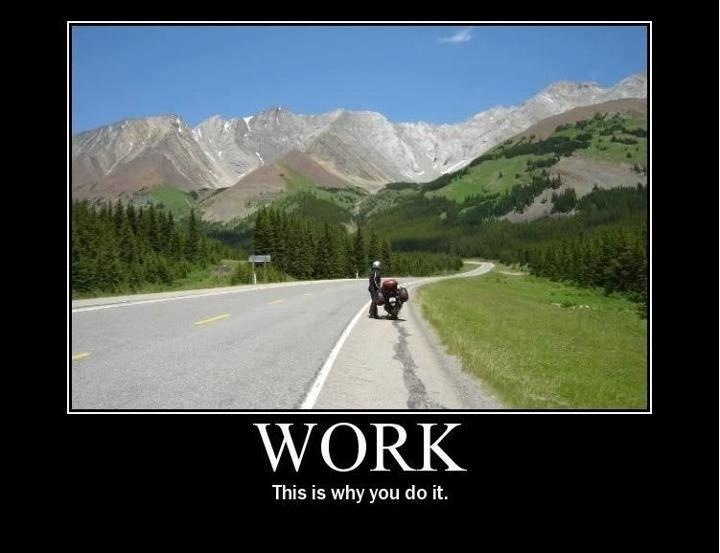 I can just picture it now, motoring down the road, enjoying that wind therapy that all bikers crave, that I crave. Alas, reality sets in again and I realize that I am fooling myself. I probably will not end up with a bike this year. Even if I do find the perfect bike for me, I really wouldn’t have the time to ride it! At least not this season. So for now I will continue to dream a little longer. On the brighter side, only five more months and I will be reunited with my Sporty Blue! 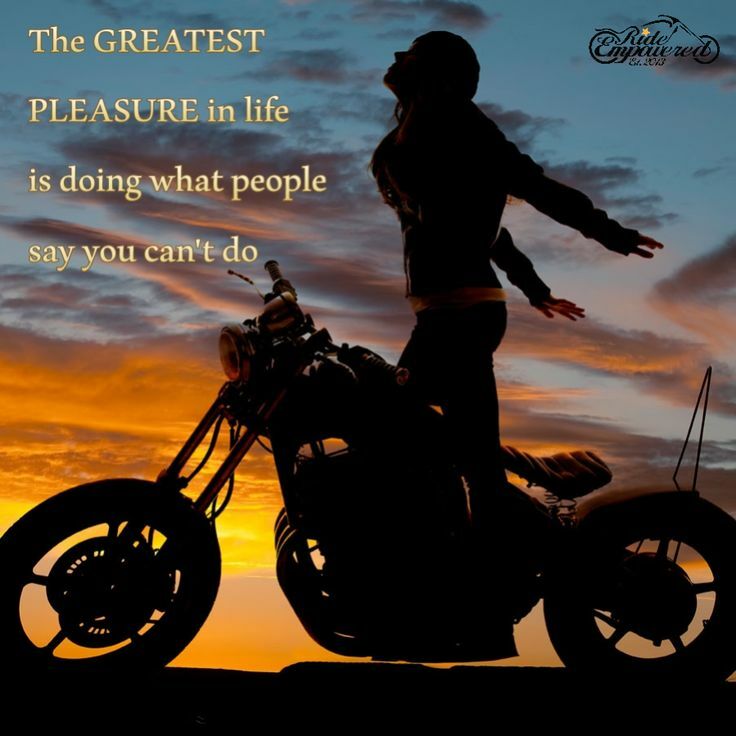 Owning a motorcycle has always been a dream of yours. It can be a big investment for you, much like buying a car or a home, and you want to make sure you put just as much thought and consideration into your purchase as you would one of those other large items. For many people, the choice comes down to buying a new motorcycle or choosing a used one for their purchase. Figuring out just which one is the right step for you will depend on you personally, but there are pros and cons involved with both sides of the issue. When you are choosing between buying a brand new motorcycle and buying a used one, you want to closely consider both before making a decision. For many people, buying a new motorcycle seems like the only way they want to go. When you buy a new bike you know you are getting something that has never been ridden by anyone else before. 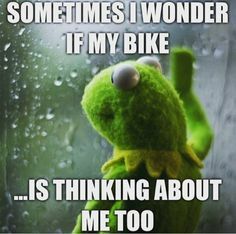 You get that feeling along with the knowledge that a new bike should come to you with the highest level of reliability. Since it is brand new, you will not experience any issues with it that will cost you a great deal in terms of repair. 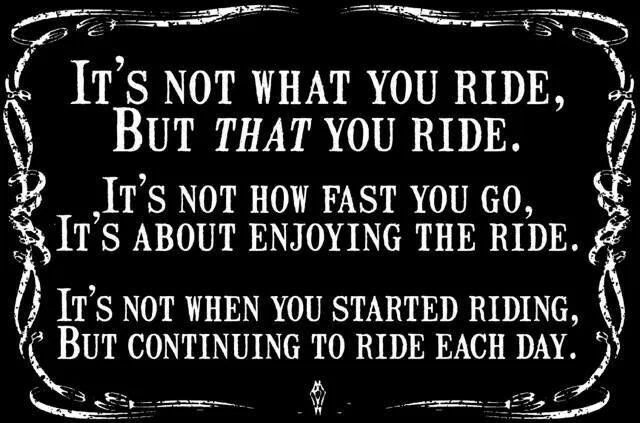 You will also not have to worry as much about it breaking down somewhere during your rides. The downside of owning a new bike primarily lies in the cost. New motorcycles can be very expensive, depending on the make, model and manufacturer that you are looking at. Buying a used motorcycle can be the perfect choice for someone that is just starting out with riding. You may not want to make a huge investment in a new bike if you are just starting out and unsure if you are going to ride it a lot. 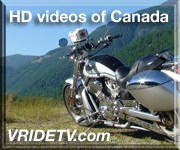 You can get a used motorcycle from a dealership or private owner and save thousands of dollars. There are risks involved with buying a used motorcycle as well. You buy it with the knowledge that the engine and the bike may have gone through months or years of use and there could be repairs that you will need to do to keep the bike in good running order, potentially costing you more money. If you have a good knowledge of bikes and can perform repairs on your own then a used bike can be a good investment for you, but if you need to bring it to a mechanic all of the time it may not work out well for you. In the end, the decision you make will be about how much money you have in your budget to spend right now and whether or not you are able to perform any maintenance, repair and gears that may be needed to the bike. Whichever you choose, you want to be sure that you select a motorcycle that you are comfortable in riding and is going to bring you joy and good performance.